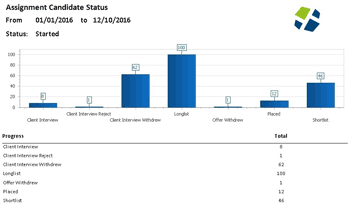 Preparing reports is one of the most frustrating and time-consuming tasks for executive search professionals. Our new Client Portal can change that. 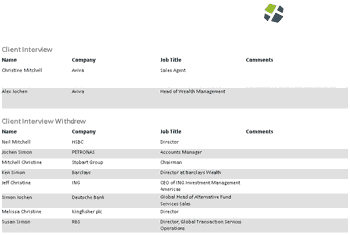 Increasingly, more and more buyers of executive search services are choosing to partner with Search firms that can offer immediate and realtime information on candidates as well as progress of their projects. 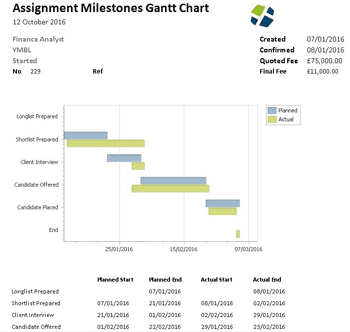 As a result, after extensive research into what our users are looking for, we are now delighted to launch enhanced reporting with the FileFinder Client Portal. 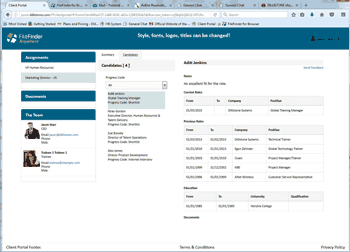 The FileFinder Client Portal allows clients, hiring managers or colleagues to log in 24×7 and review the status of the search or comment on potential candidates – while giving you absolute control over the information that you wish to share. It is simple and easy-to-use and it can be implemented without any technical skills whatsoever. 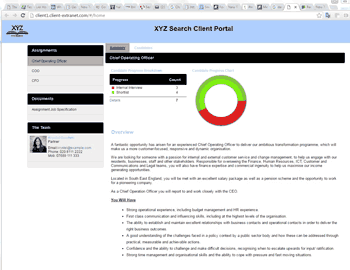 The Client Portal is designed to allow a Search firm to publish specific information on selected projects to a secure website. The end client may then log in and review that information 24×7. They can review KPI data, documents and candidate information and can provide immediate feedback to the team managing the Search. “Standard” product can be deployed without programming, but still offers a highly configurable solution reflecting your corporate colours and brand – sample screenshots >>. “Premium” product includes an API – a programming interface against which our clients can develop new portal functionality, should they wish. Easy-to-use report generator which enables you to create reports unique to your needs and company.